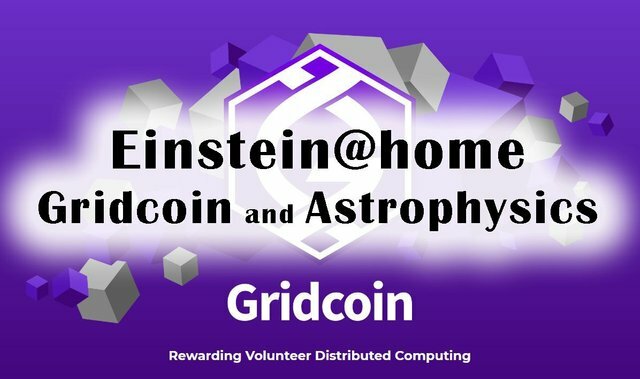 Einstein@home - Gridcoin powered project in advantage of Astrophysics! Welcome Einstein in your homes! Let your computer be in the game with some calculations! ...the first ever decentralized cryptocurrency which providies scientific computations to advance & reward computational research. Welcome! 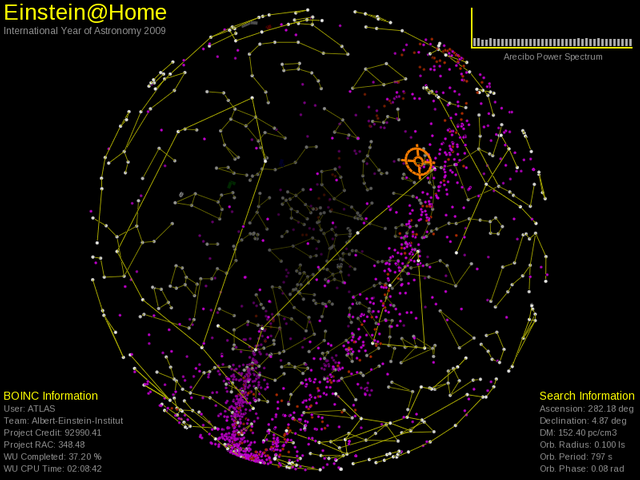 Einstein@Home is a great and very unique project and is chosen to be the International Year of Astronomy 2009 project. It is supported by many associations and organizations, including the American Physical Society, the US National Science Foundation, the Max Planck Society, and a number of other organizations. 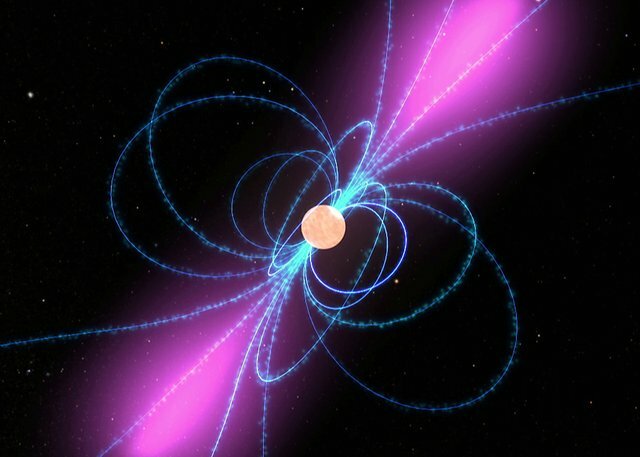 The project itself uses the participating computer's, or mobile device's idle time to seek for some relatively weak astrophysical signals from spinning neutron stars, which are often called pulsars. The data, being used, is from the some wave detectors and telescopes, including LIGO gravitational-wave detectors, and the Arecibo radio telescope. What have the participators in the project discovered so far are more than fifty new neutron stars. Who knows how many more stars are available and waiting to be found. The project's long term goal is to make the first detections of the existing gravitational-wave emission, which comes from spinning neutron stars. It was exactly Einstein, who predicted the existence of gravitational waves and he made this prediction a century ago. Such waves were directly seen for the first time, about three years ago in September of 2015. This observation reveals a new window on the universe and everything, and brings our scientific community to a whole new era. Now you should be really interested in this project, right? If you are willing to participate, you can follow the "Join Einstein@Home" instructions for participation in their website. Of course it takes a bunch of minutes from your busy day to sign up, and little or no maintenance to keep Einstein@Home running and providing valuable computation power in the sake of science and astrophysics. 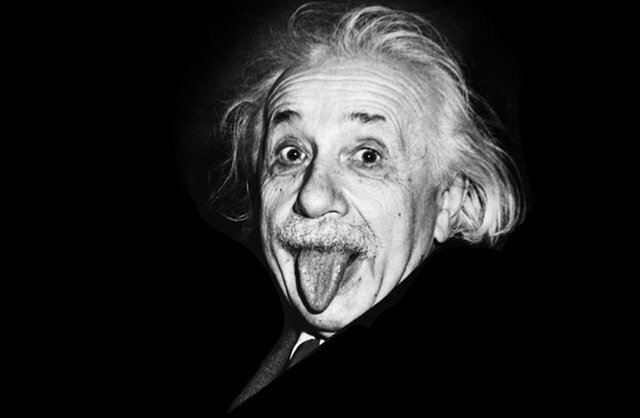 Einstein@Home is available for all the range of the common operation systems, including Windows, Linux and Macintosh OS X computers as well as Android powered devices. Gridcoin really is the most scientific aimed network ever existed, and it is amazing, that everyone can join it with almost no effort. That's why I'm so excited about it. I want to see the scientific, medical and biological advance of our modern world. Let's study the universe together.. With Einstein! Wow, that’s very interesting and sounds great!